A Spooky and Exciting Ride! Enigmatis is my first purchase on Big Fish Games and I was not disappointed. It is exactly the type of game that I love! The storyline was chilling and mysterious. It had me on the edge of my seat! The music was atmospheric, voice acting was well done, and the sound effects enhanced the gaming experience. The graphics were beautiful! I love games that have a hand painted look and style. 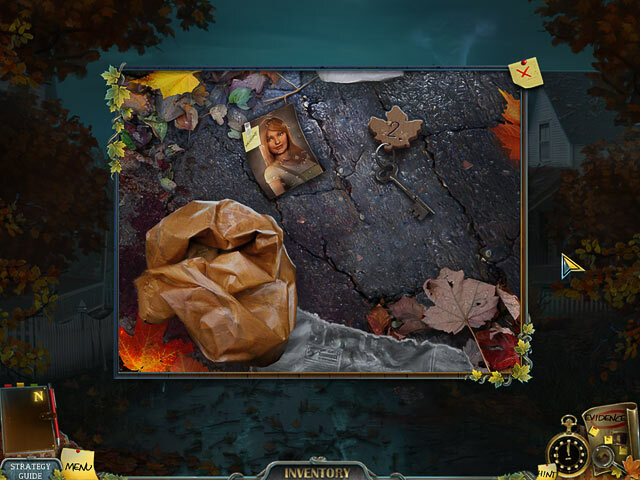 As for as the gameplay, I thought the hidden object portions were fun and the puzzles were challenging yet still solvable. In some games, I would rather skip the puzzles but I actually liked trying to solve them in this game. Even though Enigmatis was already pretty long, I decided to play it on expert mode (which I never do) to make the game last even longer so that my money would stretch a bit farther. Expert mode was pretty challenging for me. I shamefully had to look at walkthroughs online to get past certain parts and I would always feel pretty stupid every time I looked something up. As others have commented before me, the evidence wall was a fresh content that created variety between the HO and puzzle portions of the game. This game isn't perfect but few games are. However, in the end, it left me with a smile and I even caught myself saying, "that was a really fun game!" TIPS: Play the demo before you buy the game and don't bother with the CE. I read a lot of other reviews and was about to purchase the CE but many people agree that it wasn't worth the extra money and the game was long enough and perfect without the extra content. Happy Gaming!!! 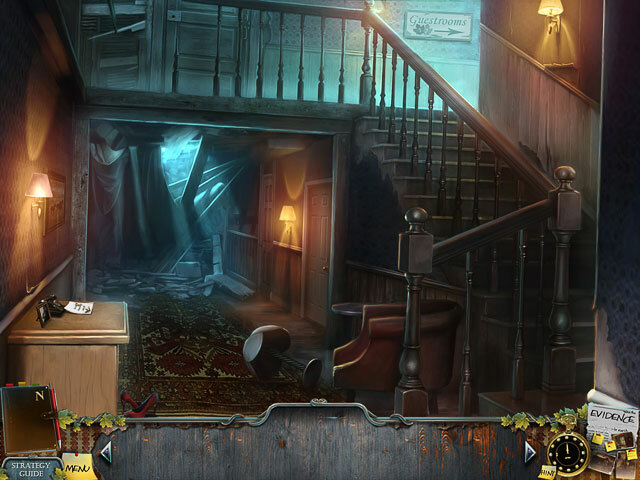 Be a Detective in a Ghost Town! A game that does not let you stop until you reach the end . -Fascinating story! -Realistic characters! -Background music is perfect! -Amazing atmosphere! -Great puzzles! (some of them brand new) -Interactive HOS - possible to finish without using hints! -Good level of challenging! -Cutscenes worth to watch, which does not happen in all games! And something useful and different: a board for evidences, that will help you solving cases. Very good entertainment! Relaxing game to play. The HOS are not all that difficult but do have to look good, The puzzles are good. I like that you have a map so if you are unsure of what to do next you can use it for help. Pretty fun game to play. What an awesome game! I play a lot of HOGs and this has to be one of my favorites of the year. I was expecting another run-of-the-mill (yet entertaining) "haunted/abandoned town" type game. The game was a pleasant surprise. It had some unique elements and a great story with exciting twists and turns. I loved the creepiness of that tolling bell (which plays a big part in the story). Just a very well made game. This game grabbed me from the very start. You play a detective left with a mild case of amnesia after a car accident, and she must retrace her steps to remember why she's in the quaint hamlet of Maple Creek, what progress she's made on the case she's investigating, and what she found that terrified her so badly. I found it to be a genuinely creepy game, at times full-on scary. It's expertly animated and the puzzles were the perfect level of challenging for me. The more I played, the more I wanted to know the resolution. I found myself fervently hoping that the missing girl would be discovered alive - and not entirely convinced that the detective would get out of Maple Creek! The best thing, of course, is that the ending strongly implies the eventual release of a sequel. I can't wait. If the second "Enigmatis" game is as good as the first, I might grab the Collector's Edition. Very good storyline. Graphics, sound, and video rendered nicely. A little backtracking, but clickthrough to various scenes very rapid. The only knocks are the use of some items in HO scenes that are not in commonplace usage by Americans, forcing one to Google to figure out just exactly what you are supposed to find. Many of these game developers are in European countries and what may be a normal item to them is a "wassat" to us. Length of game was fairly long. Only other issue was the evidence board. Didn't really like it, but that was where some of the clues were shown. While not a true 5 star game, it is definitely a 4.5. Yes, this was one of those games to play, feeling happy that there is so much to do yet (i.e. : it's not too short) and so many places to go back to because there's still something to solve there. And then feeling sorry to have ended it. The challenge is really good enough. The story is exciting. The people you meet feel natural and real. Great game! What a great game! I was immediately sucked in by the opening scene, which sets the stage well -- spooky thriller in a mysterious town. You play a detective who is trying to find a missing woman, which is the starting point for a story that progresses and unfolds in an interesting way. 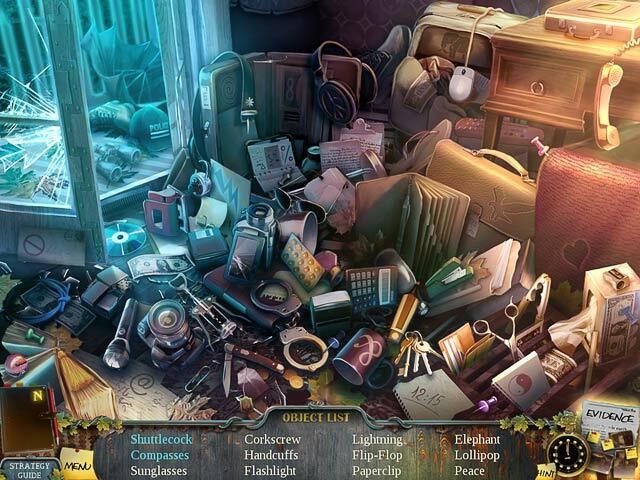 There are many hidden object scenes, filled with some unique objects, and some nice puzzles that are just tricky enough to be challenging but not frustrating. Best of all, the game is long...it kept me busy for many hours over several days. Every time you think it must be getting ready to end, the story takes another twist and a new area opens up on the map. Because there are so many different areas, it is important to use the map to locate where to go. Otherwise you'll spend a lot of time wandering. It would have been nice if the map could be used to relocate (click and go there), but there were a few times that getting from one place to another led to important cutscenes or surprises. I liked using the wall of clues -- contributed to a sense that my character was solving a crime, not just caught up in things beyond my control. There is a fulfilling ending, but I was happy that it also set things up for a part 2. Yay!